When I was a kid, I had a very luscious and shiny hair and could never imagine myself losing it. But some months ago, this terrible process started. I have only myself to blame because I did not know the effects of coloring it too often. Blind about the consequences, I just loved changing my hair color to red, brown, blonde and back to black again and suddenly it started to fall off. 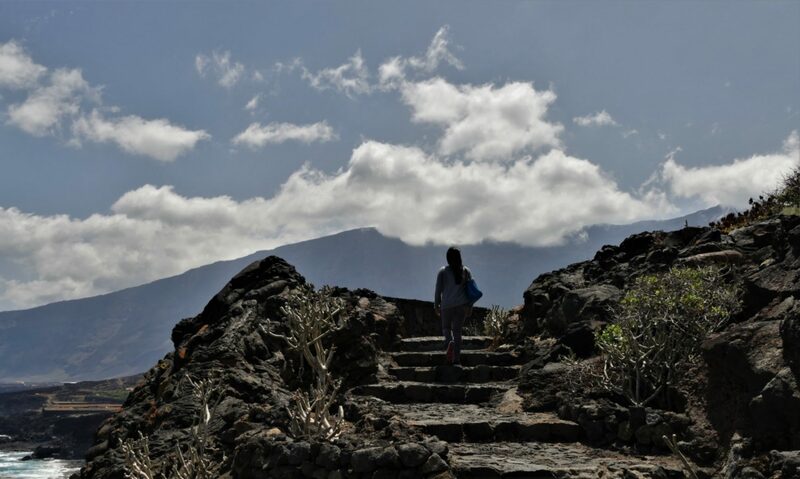 And it happened when I arrived in Spain to start a new life. Can you imagine starting to wear a wig when your hair should blow freely in the mild ocean winds of Costa del Sol? I was really devastated and tried out herbal based shampoos and expensive conditioners, but didn’t solve the problem. My hair was dry and it fell off terribly fast. I also tried coconut oil and aloevera treatments, but it seemed not to work, at least not fast enough for impatient-me. It was the same with other anti-hair fall products. I cut my very long hair to a bob; it didn´t help either. I feared that something was seriously wrong with my body and decided to see a doctor. 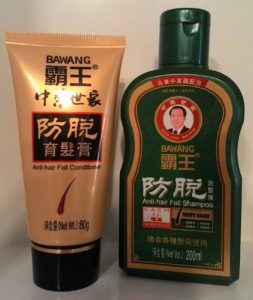 But before that, after viewing Youtube videos about hair fall, I encountered a review about Bawang Anti-Hair Fall Shampoo (200ml) and Conditioner (80ml) and I ordered it from Hong Kong for the price of 22.14 euros. I am now on my second bottle and my hair loss has almost stopped. A bottle of shampoo lasts 3 weeks for me as I use it only 3 times a week—Monday, Wednesday and Friday to be exact. Also, the conditioner definitely will not last as long as the shampoo, but if you are careful, you might equally take it to the 3rd week. I massage the shampoo on my hair 3-5 minutes and rinse it with warm water. With the conditioner, it would be a 2 minute massage and rinse with warm water. According to some people online, they find the smell of the product weird, but I like its herbal scent. The most important is of course that it works for me. My dandruff-infested scalp itched less after first time use. I’m still losing a little hair, but way less than before. Every time I use this product, the volume and softness of my hair improves. I also find the silkiness of my hair slowly coming back. I learned from long time users that the biggest and most significant result comes after using it for six months. There are reports that Bawang shampoo has a carcinogenic ingredient, but an investigation done by state authorities has concluded that it is safe to use. I’m very happy that my foolish hair coloring habits didn’t make me bald, and I hope that this little article will remind you to take good care of your hair the natural way.